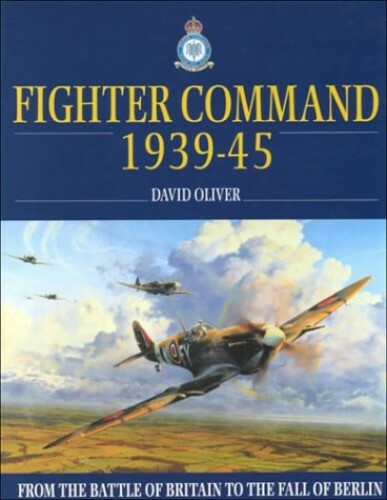 An account of the operations of RAF Fighter Command, from the Battle of Britain to 1945. In 1940, RAF Fighter Command fought and won the most famous air battle in history - the Battle of Britain. Had it lost, Hitler's armies might well have crossed the Channel to dictate peace in London. A highly absorbing account of the operations of RAF Fighter Command, from The Battle of Britain to 1945. In 1940 RAF Fighter Command fought and won the most famous air battle in history: the Battle of Britain. Had it lost, Hitler's armies might well have crossed the Channel to dictate peace in London. After this great victory, Fighter Command went on to the offensive, wearing down the Luftwaffe in the sure knowledge that air superiority was essential if the D-Day landings were ever to take place. David Oliver has interviewed many of the last surviving veterans of the Battle of Britain. His analysis of Fighter Command operations is supported by their testimony. He investigates the mythology that has grown up around 'The Few', separating fact from fiction.